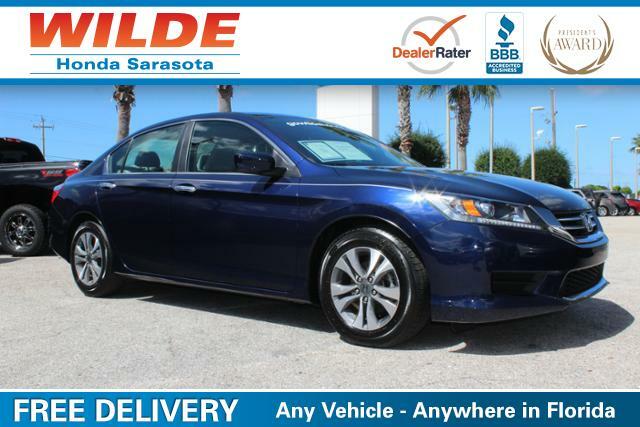 This Used 2013 Honda Accord LX Sedan is in Excellent Condition, CARFAX 1-Owner, GREAT MILES 28,220! PRICE DROP FROM $15,987, $1,200 below Kelley Blue Book! LX trim. Bluetooth, CD Player, iPod/MP3 Input, Aluminum Wheels, Back-Up Camera, Serviced here. Was $15,987. This Accord is priced $1,200 below Kelley Blue Book. Back-Up Camera, iPod/MP3 Input, Bluetooth, CD Player, Aluminum Wheels MP3 Player, Keyless Entry, Remote Trunk Release, Steering Wheel Controls. 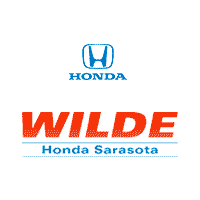 Honda LX with Obsidian Blue Pearl exterior and Gray interior features a 4 Cylinder Engine with 185 HP at 6400 RPM*. Serviced here. Pricing analysis performed on 11/23/2016 for this Used 2013 Honda Accord LX Sedan. Horsepower calculations based on trim engine configuration. Please confirm the accuracy of the included equipment by calling us prior to purchase.